Every year, the JKM Library creates displays of books and resources related to the country selected as the Global Focus country for that academic year. This year, Chatham has selected Ireland! 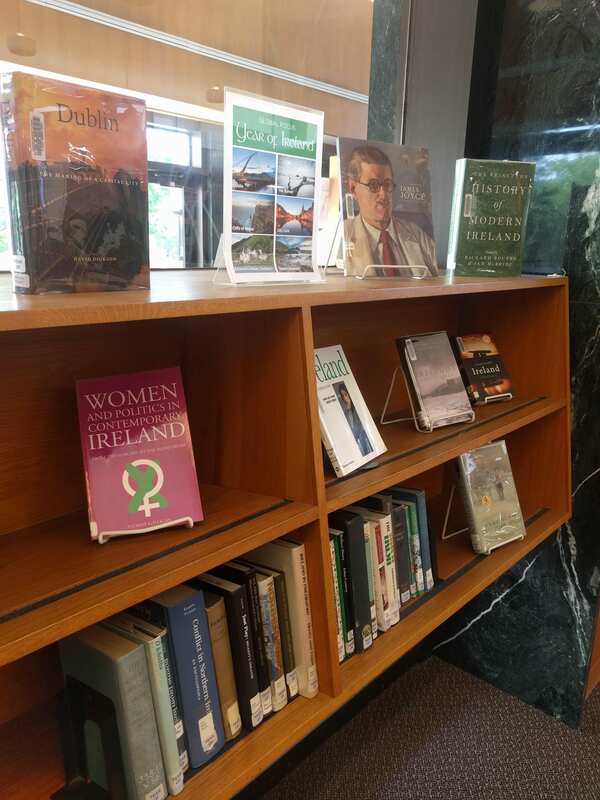 The Year of Ireland display highlights books written by notable Irish authors or written about Ireland’s history, culture, politics, etc. The intention is to make resources available to the Chatham community so you may further educate yourselves on the country of focus selected by the university. The display can be found on the first floor of the library in the lobby area next to the New Books display. All the materials on the Year of Ireland display are available to be checked out with your Chatham ID card. Wondering if we have a specific book that you don’t see on display? Ask a librarian! We can check our catalog for any materials you’re looking for. Some items on display include the following. To browse more, click here!